The Raspberry Pi Organisation has announced that its partners are now supplying a much improved camera add-on for the eponymous computer board. Previously the camera add-on board used an OmniVision OV5647 sensor which was a 5MP device which reached its EOL in 2014. 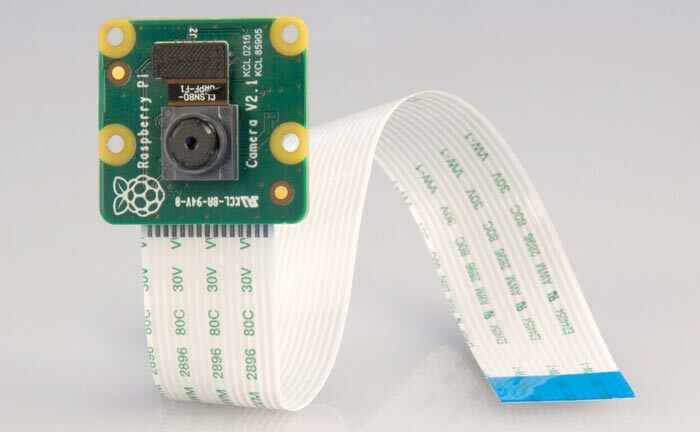 Now RasPi partners have made available a completely new camera module based upon the Sony IMX219 8-megapixel sensor, at the same low price of $25 (£19). RaspPi partners RS Components and element14 are now distributing stock of the new improved camera add-on board. Both visible light and infra-red light versions of the camera are available, depending upon your interests or requirements. The Raspberry Pi Organisation says that the Sony IMX219 is “a fantastic choice,” with its Exmor R back-illuminated sensor architecture. The IMX219 is a fixed focus device and can capture up to 3280 x 2646 pixel photographs and 1080p 30fps videos. Eben Upton opines that the new sensor offers not simply an upgrade in capture performance and megapixels but also provides improved image quality, colour fidelity and low-light performance. Importantly the image sensor pipeline (ISP) has been tuned by Naush Patuck, formerly of Broadcom’s imaging team, to provide auto white balance (AWB) under varying conditions that you commonly find yourself taking photos/videos in such as; in sunlight, or under LED, fluorescent or incandescent lights. 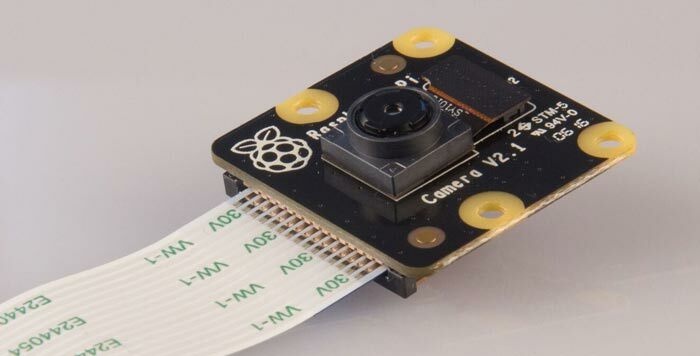 Raspberry Pi users will be happy to hear that the new camera module is the same physical size with mounting holes in the same place and works with the same software (RasPi Still, RasPi Vid, or Python camera package).